Using film as a catalyst for cultural transformation, The Representation Project inspires individuals and communities to challenge and overcome limiting stereotypes so that everyone, regardless of gender, race, class, age, sexual orientation, or circumstance, can fulfill their human potential. From the dynamic team that brought you Miss Representation, the film about the media selling the idea that girls’ and women’s value lies in their youth, beauty, and sexuality and not in their capacity as leaders, are bringing you a new film — The Mask You Live In, which follows boys and young men as they struggle to stay true to themselves while negotiating America’s narrow definition of masculinity. 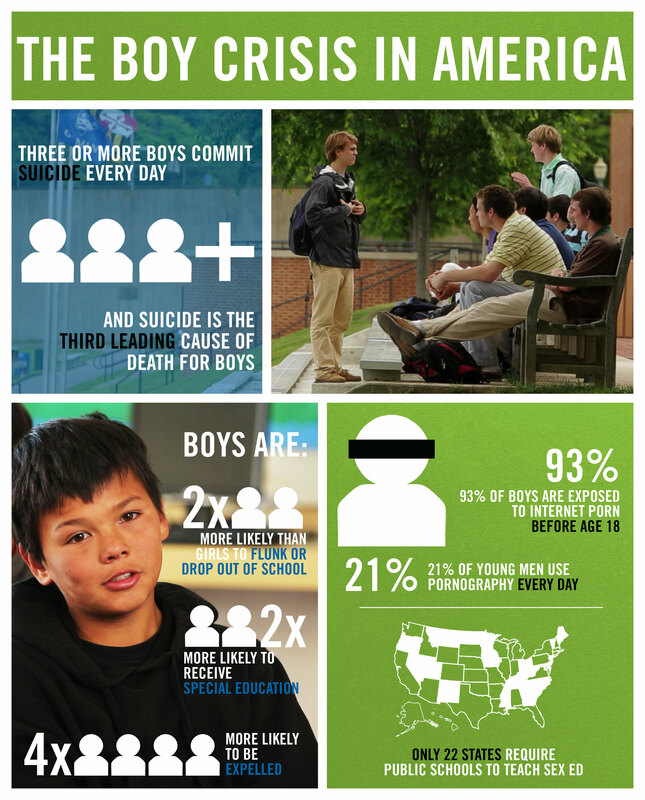 Did you know research shows compared to girls, boys in the U.S. are more likely to be diagnosed with a behavior disorder, prescribed stimulant medications, fail out of school, binge drink, commit a violent crime, and/or take their own lives? They consistently hear de-sensitizing messages like “Be a man!” “Man-up!” and “Boys don’t cry.” Sadly many are buying into a culture that doesn’t value caring, relationships or empathy…qualities our society has “feminized.” But these are not feminine qualities, they’re human ones. Whether you’re a teacher bringing the films to your classroom, a young person challenging sexist media, or a small business owner changing your company culture, check out the new and engaging resources available at TheRepresentationProject.org.